The 2016 Conference of the European Innovation Partnership on Water will be held on 10th February 2016 in Leeuwarden, The Netherlands. It will carry the theme: "How is water innovation succeeding in Europe?" 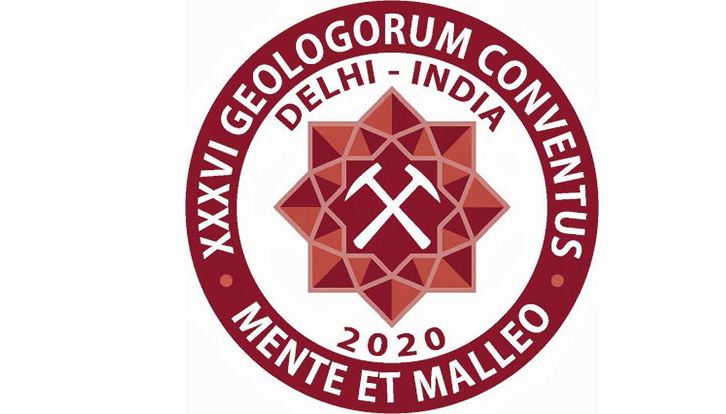 The 34th National and the 2nd International Geosciences Congress provides a forum where colleagues from different countries can present their work and discuss their ideas covering various aspects of the geosciences. You are cordially invited to participate in the symposium and your contributions will be highly appreciated. The School of Underground Mining has for years been the largest meeting of mining engineers and the scientific community in Poland as it gathers 400-500 participants every year. The proceedings are conducted in 15-20 sessions, which distinctive theme issues usually focus on how to improve the efficiency of mining in all of its areas. One of the significant and important sessions in the year 2016 will be a plenary session dedicated to the transformation of the mining industry and its impact on change of the regions in which mining is carried out. The United Nations Climate Change Conference (COP21), which will be held in December 2015 in Paris, represents a historical moment: It aims to set up a legally binding agreement for all participating countries, including for the European Union. Although all decisions taken so far by the European Union to organise its energy market, under its “2030 Climate and Energy Framework”, go in the direction of the commitments expected in Paris - with the Union having largely paved the UN way - the EU is henceforth developing its own comprehensive energy policy and implementing its ambitious Energy Union project in this new international context. This 2nd edition, specifically organised after the COP21 in Paris, will again bring together representatives of national and European institutions, authorities, industry, research centres, civil society and media, for public discussion and debate between the main high level political and industrial decision-makers and all the participants. All theoretical, methodological and conceptual reports presenting contemporary geosciences development and problems solving ideas are welcome. The European Resources Intelligence: Strengthen Better Information on Security of Supply of Raw Materials' is organized by the Dutch Ministry of Economic Affairs, the Dutch Ministry of Foreign Affairs, the Centre of Expertise on Resources and the Confederation of Netherlands Industry and Employers (VNO-NCW). The conference will explore how Europe can further strengthen, and improve information compilation and exchange systems on raw materials with businesses, science and research institutes, as well as governments. The aim is to present a proposal for a platform that will enhance the compilation and exchange of information, on the need for, and availability of raw materials. With the recent historic adoption by the United Nations General Assembly of the 2030 Agenda for Sustainable Development, together with a set of bold new Global Goals, the United Nations Framework Classification for Fossil Energy and Mineral Reserves and Resources 2009 (UNFC) has an even greater role to play. UNFC is a tool that allows countries to monitor, manage and programme development of their natural resources in an optimal way and takes consideration of environmental and social issues. The UNECE Resource Classification Week 2016 offers a unique educational and networking opportunity with experts from around the world working in reserve/resource assessment, classification and reporting. The LAC Geothermal Energy Summit 2016 scheduled May 12-13, 2016, in Santiago, Chile, has been specifically designed by industry veterans to enable solutions to these challenges where you can take advantage of: 2 full days of engagement with decision makers from the public and private sectors determining the; fate of geothermal development in the Andes mountain range; A built in English-Spanish press event on the afternoon of Day 1 to engage the local media where international support for geothermal energy’s environmental and developmental credentials can be communicated in the participant countries’ respective main daily newspapers; A full day of Investment Round Tables on Day 2 to hold in-depth discussions with key decision makers onsite, saving attendees several rounds of international travel within the region. The Institute of Mineral Resources Engineering of RWTH Aachen University is pleased to announce the 1st International Conference on Mining in Europe which will be held from 18 – 19 May 2016 in Aachen, Germany. The key objective of the Conference is to share the latest developments on mining activities, developments and research in Europe. The global mining community faces significant challenges, ranging from technological to social, environmental and economic issues. 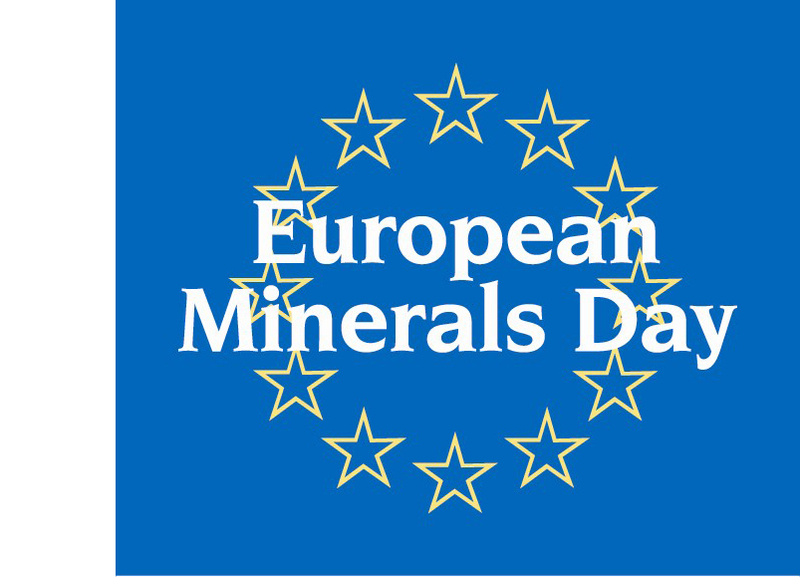 The European mining community has confronted and solved such challenges over centuries and has thereby delivered important contributions to the use and development of our mineral resources. EUROGI is going to held two work shops with the title Technical & Societal Challenges in Implementation of Selected Policies Seen from a GeoICT Perspective. All of these topic areas have been discussed in working groups among the members and during two workshops with some other European organizations and Policy/Decision makers and collected together in six policy position papers. The workshop will be divided into two parts "Technical" challenges (Big Data, Linked Data and Internet of Things) and "Societal" challenges (Open Data, SME Promotion, Sustainable Urban and Regional Development). Under the auspices of the 2016 Dutch Presidency of the Council of the EU, the fourth edition of European Space Solutions is coming to The Hague. Taking place at the World Forum Convention Centre from 30 May to 3 June 2016, the major 5-day conference will bring together business and policy makers with users and developers of space-based solutions. Registration is free-of-charge but mandatory. The Event will explore how space makes a difference to the lives, and livelihoods, of people across Europe and around the globe. Space-based services and technologies are the future of efficient, effective and sustainable services that society needs. Participants will learn about new innovations that harness information from the European flagship space programmes, Galileo and EGNOS (satellite navigation) and Copernicus (Earth observation), and the EU's Horizon 2020 research programme, for a wide range of applications, gather insights about current developments, and discuss what is possible and needed in the future. The conference will be accompanied by an exhibition of new space applications and technologies, a range of dedicated focus sessions and relevant side events, networking opportunities and more. The 9th Course on Foraminifera is designed to provide an overview of the Taxonomy, Ecology, Biodiversity, and Geological History of Benthic and Planktonic Foraminifera. This intensive course is intended for students interested in Micropalaeontology, Palaeoceanography, Palaeoecology, Climate History, Biology, and Environmental applications. The aim is to provide a primer on the study of foraminifera and examples of how foraminifera can be used as (paleo)environmental and (paleo)oceanographical proxies. We review the current classification schemes of the foraminifera, discuss their ecology and life history, review their usefulness for biostratigraphical applications, and use case studies to investigate the geological history of the group with lab and practical sessions. The entire course consists of approximately 60 hours of lectures and 60 hours of practical work. The 10th AIGE 2016 Conference and the 1st AIGE/IIETA International Conference on "Energy Conversion, Management, Recovery, Saving, Storage and Renewable Systems" is organized under the auspices of the AIGE and IIETA with the aim of providing technical information to their members and to the scientific and industrial community at large. The joint Conferences have as their aim to create a binding platform for researchers from universities, research institutions and industries involved in the organization as well as students to network, learn more and share their knowledge. They will pursue the goal of providing a forum for the exposure and the exchange of technical information. The joint Conferences will give the opportunity to discuss the state of the art and to present experimental, analytical and numerical results in Energy Conversion Systems, in the Energy Management with reference to Economic and Thermodynamics, in Energy Recovery Systems, in Energy Saving Techniques, Energy Storage Systems and Renewable Systems with a particular attention to the Environment. This “Davos” style of conference is chaired by Philippe Varin, The World Materials Forum brings together CEO’s from large and medium-sized enterprises, including some of the largest and most innovative global companies active in the raw materials and innovative materials domain. This year’s theme is "Materials Efficiency", how to foster a resources lean economy. We will look at raw materials that may be critical during the coming 15 years, as during that time the global middle-class will double, meaning a further boost in resources intensive consumption. We will think about the performance criteria to evaluate improvements of our critical materials efficient use plans and monitor their results. We will present the improvement perspectives offered by new digital technologies or by innovation in the materials domain as well as in packaging, housing and mobility. We will close the Forum by a "public/ private" plenary session, with a debate between industry leader and public policy makers. Groundwater is a crucial resource, as the basis of natural habitats, drinking water supply and irrigation. The goal is to attain sustainable groundwater management. The proposed topics of the Conference will virtually cover all of the scientific and technical knowledge in this field. The Conference is also expected to address very important issues and solutions relating to groundwater management. The Conference will be the third IWA conference to be held in Belgrade (2007, 2011 and 2016), and will thus become traditional. It will also be held under the auspices of UNESCO - IHP, the Serbian Academy of Sciences and Arts, IAH, the Serbian Water Pollution Control Society, and IAWD, and organized by the WSDAC Center and Jaroslav Černi Institute for the Development of Water Resources. We trust that this Conference, similar to the previous two, will be a significant contributor to improved groundwater management and the advancement of science in this field. The Landslides risk has strongly increased over the last decade, mainly because of ever growing population and relevant bigger exposure. Other natural hazards, such as storms, earthquakes and volcanism, may act as landslide triggers in some areas. These will be the main topics of the next ISL that will take place in Napoli in June 2016. These themes will be viewed using the classic approach of the modern science, i.e. moving from experience to practice through theory. Diverse events will fill the meeting: special lectures delivered by renowned academics and professionals, a “Young Session”, a Round-robin, a prize for the best paper recently published in scientific journals, and a prize for the best symposium paper. Cultural events, post-symposium technical trips and further surprises will come along. The European Geological Data Infrastructure (EGDI) first version will be officially launched at a special Event on the 14th June 2016 in Brussels from 9:00 to 12:00. EGDI will provide access to Pan-European and national geological datasets and services from the Geological Survey Organizations of Europe. EGDI will build on the concepts described in the EU co-funded EGDI-Scope project (2012-2014). It will facilitate continuity and sustainability of past EU projects by coordinating, collecting and archiving high quality data from geoscience disciplines making them available in the long term. The launch of EGDI is one of the three pillars of EuroGeoSurveys strategy towards establishing a European Geological Service. This EGDI will form the backbone for delivering multinational, distributed, derived spatial and temporal datasets, in line with INSPIRE and other international standards. REGISTRATION TO THE EVENT IS NOW OPEN UNTIL 25TH MAY! With this new Conference we aim to bring under one roof specialists from the academia and industry on earthquake engineering, landslides, floods, tsunamis and hurricanes as we have witnessed several times in recent years, our civil infrastructure is exposed to one or several of these threats and it is us, engineers, who mainly undertake the task of designing against them to minimize the risk and reduce fatalities. This conference gives us all the opportunity to not only state our case in our own specialty but also to watch and listen how our “scientific neighbors” are coping with in their fields of expertise; this is the essence of cross-fertilization of knowledge. To achieve this goal, our conference will include excellent keynote lectures, special and theme sessions as well as 5-in-5 presentations in what we hope to be a most lively event encouraging discussion on challenging topics. The International Multidisciplinary Scientific GeoConferences SGEM bring together researchers, educators and practitioners representing research and educational institutions, companies, government agencies and consulting organizations from all over the world to exchange ideas, to define the research priorities in the fields of geosciences. Our overall objective is to propose potential solutions of problems related to the global changes, to contribute to the integration of environmental consideration into the decision-making process - hoping to ensure that present consumption will not compromise the ability of future generations to meet their own needs. The Central European University (CEU) in Budapest, Hungary is organizing a workshop in July 2016 in cooperation with the Bureau for Policy and Programme Support of the United Nations Development Programme (UNDP) and the United Nations Office for Outer Space Affairs (UNOOSA). The workshop focuses on Geospatial Technologies and Remote Sensing for Monitoring Sustainable Development Goals (SDGs). This workshop provides a timely opportunity to get updated on the latest advances in geospatial technologies and remote sensing, and their application to the monitoring of SDGs. These technologies can be applied to many of the 17 SDGs. For further information on the workshop and application procedures, please visit: http://isepei.org/geospatial-2016 or contact info [at] isepei.org. Limited financial support is available for applicants from developing countries. The workshop will highlight recent advances in information and communication technologies (ICTs) and how they are empowering both decision-makers and citizens to play a proactive role in managing disaster risks and providing more effective disaster response. The program will cover a number of themes, including ICTs for DRR, innovations in climate risk management (CRM) and disaster preparedness and response, smart cities, and integration of relevant innovative solutions into sectoral and municipal development. A range of technologies will be presented including remote sensing, GIS, big data, citizen science, mobile technologies, data portals, and more. This joint UNDP and Central European University (CEU) workshop will combine regional UNDP experience, ICT industry expertise, and accumulated first-hand knowledge from a global network of organizations, offering both theoretical and practical skills in disaster risk reduction, monitoring, and recovery. For further information on the workshop and application procedures, please visit: http://isepei.org/innovations-drr-2016 and http://summer.ceu.edu/disaster-2016. EUROSOIL 2016 will be a unique opportunity to provide an outstanding setting for all participants including young soil scientists, researchers, technical and Professional operators, company representatives and policy makers to share their projects, scientific experiences, innovations and ideas about soil science. The choice of the keynote and invited speakers who will be chosen from not only Europe but all continents of our globe will set high standard and new visions in the field of soil science. Sessions covering all aspects of soil science and social and cultural events will help culminate the success of the Congress. One of the most important aspects of the Istanbul congress is the “Young Soil Scientists Forum” in the Congress Progamme. We hope the young soil scientists will draft a declaration that can be published for the future of world soil science. We are looking forward to welcoming participants from all over the world to Istanbul and together we will make this congress an unforgettable scientific event. The main theme of the conference is: Stimulating and Analysing the changes of Earth & Climate-ICESCC. The joint international conference of International Symposium on Environment and Health 2016 and Geoinformatics 2016 provides a historical opportunity for international experts working in several closely related areas of environment, health, geographical information system (GIS) and agriculture, to meet and share the latest understanding of the ever growing challenges between human and our changing environment. As a joint conference, delegates are allowed and encouraged to attend any sessions of both conferences and to extend their academic networks, while the two conferences are organised separately. This novel approach of conference organisation maintains the traditional identities of both conference series while provides a new opportunity of networking for all delegates. The First Vision Zero Europe Conference is a new approach to strengthen safety and health at work in mining, quarries, aggregates & cement industries. The conference will focus on the new vision zero prevention strategy of the ISSA and it's 7 golden rules for successful implemantation and economical effective prevention in enterprises. By that a new leaf in safety and health in mining and other high risk industries will be turned over. This workshop aims to gather colleagues from several Member-States to exchange knowledge between interested parties on best practices in the planning process for Integrated Water Resources Management, focusing on groundwater. This workshop is a continuation of the previous peer reviews missions. The results of the four peer review missions dealing with these topics will be synthetized and participants are invited to describe the situation encountered in their countries as well cases study related to these topics. Conclusions will be drawn in the form of lessons learnt from the peer review practitioners’ network, and from the presented study cases. Specific recommendations from the workshop will also be produced. The European Commission is organising the first Blue Economy Business and Science Forum in Hamburg on 12 and 13 September. Commissioner Karmenu Vella, responsible for Environment, Maritime Affairs and Fisheries and Commissioner Carlos Moedas, responsible for Research, Science and Innovation will deliver keynote speeches at the opening together with other high level representatives of governments, industry, finance and science.The Commission Communication on "Innovation in the Blue Economy" proposed a Blue Economy Business and Science Forum, a platform for business, science, finance and policy representatives to identify bottlenecks and explore opportunities for innovation in the Blue Economy that could contribute to growth. This Summit will gather together around 200 blue economy stakeholders who will be able to propose solutions for boosting the European competitiveness in marine and maritime technologies, increasing collaboration between science and industrial sectors, demonstrating the value of innovative technologies, scaling them up and bringing them to the market. They will also examine solutions for clearing bottlenecks that hinder the commercialisation of innovative blue technologies in the EU. Making investments in the marine environment is costly, therefore access to finance is crucial. Participants will also analyse how the new Commission proposal on the European Innovation Council could provide opportunities for Blue Economy entrepreneurs and innovators. After the highly successful EGC 2013 in Pisa, it is time to convene again and to take stock of the current deployment of geothermal energy in Europe, of the knowledge and experience gathered, of the potential still to unlock. EGC 2016 also will provide a stage to present and discuss new developments in science, technology, industry, and policy of geothermal energy on our continent. The organisers of the European Geothermal Congress 2016 request the submission of abstracts for papers concerning all areas of geothermal energy use, from very shallow systems to deep drilling and high-enthalpy fields. Both the technological and the social-economic side will be covered. The programme will be divided into three basic threads or “streams”, using the practices and standards appropriate to each respective target group. This is an unique opportunity to look outside your own normal sphere or interest and learn about the work of those in other fields, all connected by the desire to give geothermal energy the spot on the energy landscape it deserves! The conference theme is all about multidisciplinary collaboration, and a recent trend is the general convergence of research in geomatics (spatial science), visualisation, computer vision and graphics, as well as virtual and augmented reality, which are filtering into geoscience applications to give new and exciting analysis possibilities. The mining sector: challenges and opportunities for the sustainable socio-economic development of Burkina Faso. To register please download the registration form. 2016 is a very special year for the International Association of Hydrogeologists as we reach the major milestone of the 60th anniversary of our founding in 1956. From small beginnings, IAH has grown into a truly worldwide scientific and professional association with just over 4100 members in 125 countries and 40 national chapters, fourteen scientific commissions and networks, a high quality journal, well-established book series and a programme of international scientific congresses, of which this one in Montpellier is the 43rd. Our 60th anniversary again offers ample opportunities to reflect, take stock and to assess the current state of hydrogeology within societies worldwide. Increasing challenges and contributions of hydrogeologists to society will be a central topic at the conference in Montpellier. We welcome active participations of hydrogeologists and experts of related fields from all over the world. INSPIRE is about efficiently sharing digital spatial data related to the environment between public authorities at all levels of government, across borders and with the public at large. Such requires effective coordination between all authorities involved and a high degree of legal and technical interoperability, which is also pursued in the context of the EU Digital Single Market. The INSPIRE Conference 2016 aims to show how the implementation of INSPIRE contributes to the European Interoperability Framework and the EU's digital economy in general. Primary and secondary Raw Materials are essential to Europe’s economy and growth. The Minerals Intelligence Capacity Analysis (MICA) Project responds to the need to build a Raw Materials Knowledge Base at EU level, contributing to past and ongoing efforts by several EU projects and as part of the transitional phase towards this goal. The MICA Partners will gather for the first General Meeting to be held in Brussels on the 27-29 September 2016. The overall objective of MICA is to provide stakeholders with the best possible information, in a seamless and flexible way using an ontology-based platform, the European Union Raw Materials Intelligence Capacity Platform (EU-RMICP). To reach this ambitious goal, MICA brings together a multidisciplinary team of experts, from natural and technical to social sciences, to ensure that the raw materials intelligence is collected, stored and made accessible according to stakeholders needs. The Forum is held in Russia since 2005 and considered as one of the most important and authoritative events on Mining and Exploration in Russia and the countries of the Eurasian Economic Union. Organised ‘under the main theme “Russian mining industry – new sources of growth” MINEX Russia 2016 Forum will provide an industry-wide discussion on Russia’s mining industry growth scenarios and its ability to renew mineral resource base, develop infrastructure, train personnel and introduce more efficient solutions to reduce the costs and improve efficiency. Please, click here for more information. The 1st International Symposium on Water Rock Interaction (WRI-1) was convened during 1974 in Prague (Czech Republic), with the Colleague Tomas Paces as Secretary General, and was the “engine” to promote the development of an “easy-going” Symposium format attracting students and the leading geochemists, geologists, hydrogeologists and other Earth and Planetary scientists from many developed and developing countries to exchange ideas on a broad field of science. Forty-two years later, the proposed destination and the facilities currently available and those to be developed prior to the start of WRI-15 will provide one of the richest environments that the Water-Rock Interaction Scientific Community will ever have experienced - people -friendly “water and rock places” that you will never forget. The focus on new developments and new perspectives on this R&D field will be the main objectives of this Event. FLOODrisk 2016 will explore research advances in flood risk analysis and innovations in flood risk management practice. The conference will consider all aspects of flood risk and will cover the causes of floods, their impacts on people, property and the environment, and portfolios of risk management measures. FLOODrisk 2016 is also supported by the Flood Risk Management Research Consortium. Please find out more information on the website. Within the context created by the European Commission “Blueprint”, the meeting will be organized around a preparatory workshop and 4 roundtables in plenary sessions dealing with the updated issues of the field Implementation of the WFD and other European Water Directives. The preliminary workshop on “Circular Economy and Wastewater Reuse” will take place on 19 October in the afternoon: it aims to exchange and compare the practices and experiments used by the various Member States and Basin Organizations for recovering and re-using wastewater under the Basin Management Plans and the objectives of the Water Framework Directive. In addition, it will enable to promote good practices and meet the needs for strategy guidelines to be used to integrate the principles of the circular economy into the Programmes of Measures in the basins. This Geosciences Technology Workshop is the first event, hosted by AAPG Europe, to be held in Lithuania. The workshop will be based around the theme: “Hydrocarbon Exploration in Lithuania and The Baltic Region” and will cover everything from European basin modelling to carbonate sedimentology to offshore developments in the Baltic Sea. Taking place over two full days, we aim to bring together professionals from Industry and Academia to analyse, discuss and launch perspectives for increased exploration in this attractive region. This European User Workshop will address discussions about cross-border cooperation in Europe to establish a Supra-National Ground Motion Service within the Copernicus Program. The user workshop is directed to the following key groups: EU-Commission, ESA, EGS-EOEG, Copernicus User representatives, SMEs, representatives from administration and research and other stakeholders. The workshop is free, please register until October 24, 2016 via email. The conference is open to fundamental and applied research, lessons-learnt from both successes and failures in marine management, and innovative measurement and data handling concepts from within and beyond the North Sea.The conference will equally cover biodiversity and physico-chemical environmental aspects of the North Sea. The conference will make use of innovative formats, encouraging other types of presentations than traditional powerpoints and promoting participatory methodologies stimulating effective dialogue amongst participants. Come and join us for a unique science-policy-society trialogue on the North Sea! This conference is expected to bring together a large number of Gondwana researches and experts and will provide a platform for exchange of scientific ideas, collaborative researches and for the dissemination current insights in to the evolution of Gondwana. Besides the conference will address a wide range of topics related to tectonics, stratigraphy, fossils and sedimentary facies; the palaeomagnetic, radiometric, geochemical, isotopic, mineralogical and sea level data have let to a significant increase in our understanding of the Gondwana assemble and breakup, the patterns and causes of Permo-Triassic extinctions and the climate during Gondwana period. That are we all do for "Puzzling out Gondwana". Geographical Information System (GIS) technology is supporting policy making and its successful implementation across the EU. This event is a unique opportunity to share experiences and best practices in applying GIS to, for example, the challenge of building safer and more secure communities across Europe, and transforming Copernicus data into valuable information. Through a plenary session and targeted breakouts, participants will have the opportunity to network with their peers, and learn how GIS is transforming policy making and enabling its successful implementation to deliver: economic growth, stewardship of the environment, improve security for the citizens of Europe. Please find more information on the website. The conferences will feature over 80 national and international experts who will speak on the three major topics: resilience, governance and financing, generating ideas, practical improvements and a strategic vision of the sector to tackle these future challenges, bearing in mind both the regulatory framework and sustainability requirements. This conference aims to provide space for discussion, knowledge exchange among experts from government/non-government organizations, public and private sector, praxis, science and academic sector. The issues to be discussed are legislation strategies, policies, research methodologies, risks analysis, as well as awareness about importance of mineral resources and their influence to environment. The key topics covered will be: Mineral resources in Europe. (1. Raw materials as a social value – Recognizing the importance of mineral resources for national economy, 2. Social licence to operate – How to evolve mining without conflict with society, 3.Best Practice- Mining's contribution to economic growth and community development in Europe) and Environment impact (1.Rehabilitation and reclamation, mining and environment – a win-win situation, 2.Biodiversity – enhancement of ecosystems in post-rehabilitation processes, 3. Secondary raw materials – recycling). The International Conference Sustainability of Mineral Resources and the Environment will be held during the Slovak 2016 Presidency of the Council of the European Union on 21 – 22 November 2016 in Bratislava, Slovakia. The conference venue is the historical building of the Slovak National Council, Župné námestie 12 in Bratislava, Slovak Republic. This will be a unique opportunity to provide a perfect setting for all participants including scientists, researchers, company representatives and policy makers to share their projects and ideas about sustainability of mineral resources in European Union countries and its environmental impacts. The conference will bring together a guest list of Their Excellencies Arab Ministers of mineral resources sector, representatives of the mining and industry ministries, Arab and foreign institutions, bodies and companies, in addition to the relevant Arab and international organizations, associations and scientific research centers. For further information, please visit the conference's website. The Colloquium will be conducted at the International Conference Center, University of Ibadan, Nigeria from the 23rd to 27th November 2016. The CAG26 will be organized by the Nigeria Mining and Geosciences Society in cooperation with governmental and non‐governmental organizations under the auspices of the Geological Society of Africa (GSAf). The theme of the conference is "Unlocking Earth Science Potentials for Sustainable Development of Africa". This event is actively supported by all the main Geosciences Institutions, Associations and Societies in the Country. These are the Nigerian Mining and Geosciences Society (NMGS), Nigerian Association of Hydrogeologists (NAH), Nigerian Association of Petroleum Explorers NAPE and Nigerian Society of Mining Engineers (NSME), The Department of Geology, University of Ibadan, Nigerian Geological Survey Agency and others. On 28 November 2016 in London MINEX Forum will organise major Eurasian mining investment conference entitled “Mining prospects in Europe, Russia and Central Asia”, bringing together mining companies, buy-side investors, financiers and industry experts. Organised in London since 2012 the MINEX Eurasia conference is committed to promoting mining projects and delivering quality information and analysis on mining investment and business landscape across Eurasian continent in the context of today’s dynamic global economy. With the addition of the European mining session to the conference agenda, experts from mining companies, governments, consulting and investment backgrounds will discuss the key trends, constraints and opportunities in three geographical areas: Continental Europe, Russia and Central Asia. The Conference will also provide a platform where companies will be able to introduce exciting mining projects. Breaks, luncheon and post-conference drinks will offer networking opportunities. For participation options and further information please click here. 30 November (morning): "Education and training as a vehicle to improve competitiveness and business creation", a half day event co-organized with the EIT Raw Materials. 30 November (afternoon): "Horizon 2020 Brokerage event"
1 December: "4th annual High Level Conference of the European Innovation Partnership (EIP) on Raw Materials". Further details about the event will be published shortly on the website. The EuroGeoSurveys Raw Materials Week Workshop aims to bring together the major organisations, networks, ongoing initiatives and projects, in order to build and maintain ties between the numerous activities, to increase coordination of actions and limit possible duplications. The meeting will have an open format, allowing all participants to share information about their projects and learn from each other – it will allow us to discover where synergies could be exploited between projects and where cooperation or better coordination might be useful in future activities. • A plenary presentation by Francis Vallat (CEO, European Network of Maritime Clusters) on “The Role and Value of Maritime Clusters for Sustainable Development”. • A parallel session on Maritime Clusters, with a panel of Maritime Cluster leaders. • A Maritime Cluster Roundtable/Forum to bring together Maritime Cluster leaders from around the world in their own gathering. The Geological Remote Sensing Group (GRSG) is pleased to announce the Second Call for Papers for it's 27th Annual Conference focusing on a wide range of remote sensing applications, tools, latest innovations and developments. The Geological Remote Sensing Group (GRSG) is a spectral interest group of the Geological Society (GeolSoc) and the remote Sensing Photogrammetry Society (RSPSoc) formed in 1989. Further information, sponsorship opportunities and logistics to be announced soon on the website.